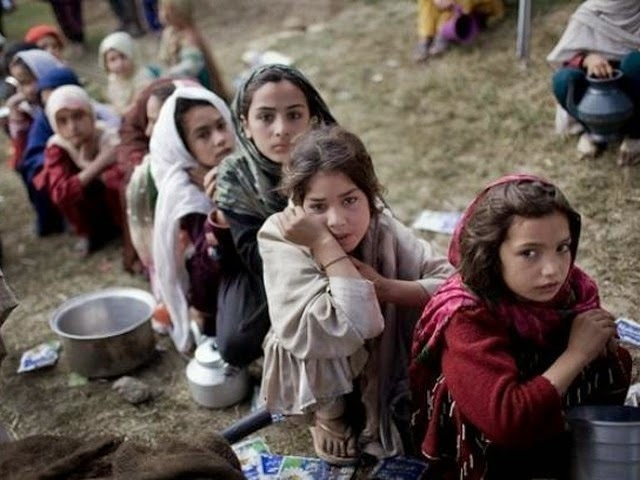 Truth by Kbaig: Success of Operation "Zarb-e-Azb" is Conditioned with Support and Rehabilitation of IDPs..! 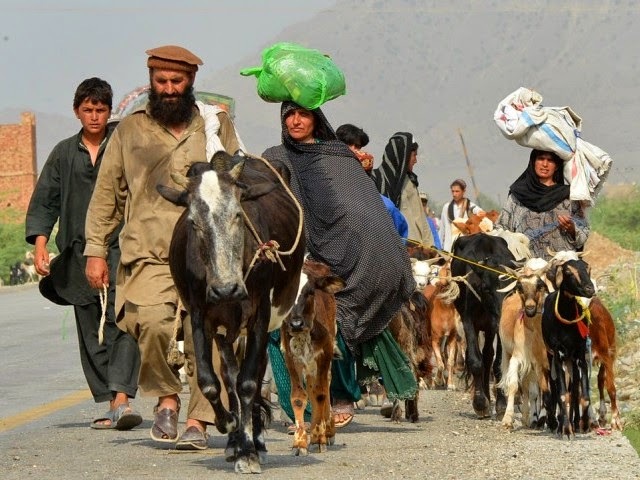 Success of Operation "Zarb-e-Azb" is Conditioned with Support and Rehabilitation of IDPs..! The most difficult task of internal warfare is the evacuation of the civilians from the targeted area and on completion of the operation their rehabilitation. The professionalism of the armed forces lies in its capabilities to face the enemy; either invading enemy or militants within the territory of the motherland. 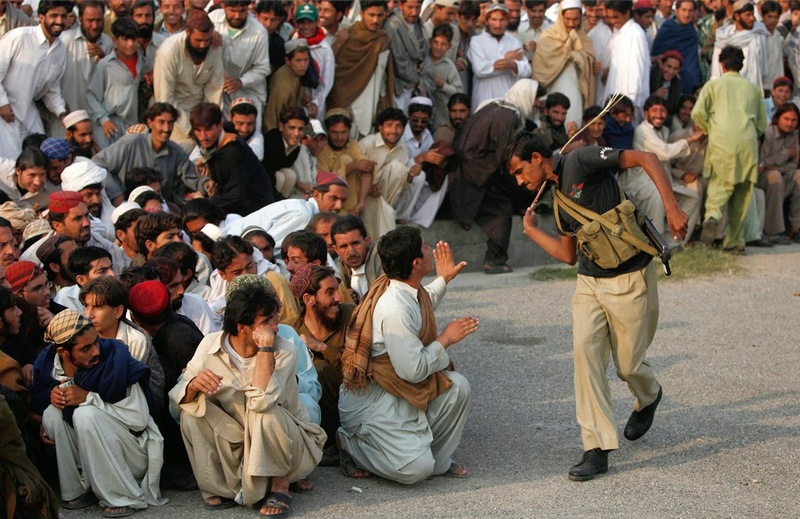 However, Pakistan is facing a different type of the attack; although the militant or terrorist elements are from within the Pakistan but their controllers, funders or supporters whatever one may name them are living outside Pakistan, supporting treason in one region of Pakistan, cultivating lawlessness, robberies, target killing and abduction for ransom and exploiting deep interest in religion for crimes against humanity in the form of terrorism in the other area. This series of terrorism started in Pakistan when after devastating bombardment of latest lethal American weapons resulting in the genocide of Afghans, Afghan Pashtoons started resistance against US and invading European forces. Invading forces were not ready for such a befitting resistance by majority of Afghan population i.e. Pashtoons; thus on one hand they termed resisting elements as Taliban and started propaganda against them on international level to befool and win support of international as well as local community while on the other hand the power was handed over to minority of Afghan population i.e. Northern Alliance to slaughter the Afghan Pashtoons and crush them. Yes! Those Afghans who were once blue eyed boys of USA and Europe, known as Mujahideen with respect, who were welcomed in Washington DC on red carpet were defamed in the whole world as Taliban in such a way through tremendous propaganda that Taliban (Afghan Pashtoon) became a symbol of terror for the whole world. Pashtoons resdining in Pakistan having blood relations, common culture, religion linked with world’s few difficult mountain passes were naturally expected to feel the pain of the genocide in the hands of the invading forces (terrorists with UNO’s license to kill) and atrocities committed by US backed Northern Alliance against their Pashtoon brethren across the border and thus support to these Afghan Pashtoons. On the other hand the US’s beating the old triumphant “DO MORE” for Pakistan under the alleged claims that terrorists attack from Pakistan, kill US and allied forces and return back to their hideouts in Pakistan. However, time proved that US allegations were based upon lies for some specific goals. 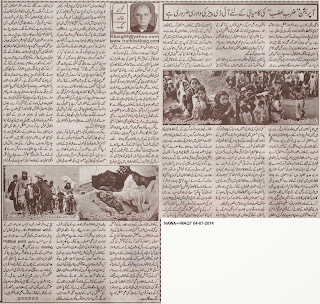 This was the time when USA, Israel and India decided to exploit criminals in Pakistan against Pakistan; for this purpose terrorist training camps were established not only in Afghanistan but India, Uzbekistan, Tajikistan and other Central Asian States and in the name of imposition of Islamic Sharia, terrorists and suicide bombers were launched into the Pakistan. Denial of Kashmir Freedom Movement and terming it as Terrorism, and using the term Taliban for terrorists and giving terrorists identity as Taliban seems to be part of some great secret deal between India and USA. The basic purpose of this deal was to promote India as the biggest power of the region to halt the increasing defensive power and influence of China in the region. Although USA wanted to stop Chinese access to Arabian Sea but via Gwadar through India; but India realizing the weaker position of USA in Afghanistan exploited American weakness in Afghanistan (in the light Kotlaya Chanakiya teachings) to further her imperialist plans but Pakistan and Pak Army became one of the greatest hurdles in the way of Chanakiya thought. When Indian supremacy in the region became the need of USA; both powers agreed to weaken Pakistan for which weakening Pakistan army was inevitable. But presence of Nuclear weapons of Pakistan adhered India from any direct adventure against Pakistan. In the light of these ground realities, India and her ally USA decided to attack Pak army at two fronts; 1) Military installations, convoys, officers and individually soldiers became the target of terrorists and suicide bombers, although civilians were also the target but main target was only Pakistan army; 2) propaganda war was launched within Pakistan against Pakistan army. Whether it is traditional war or attack over the army through weapons; army has the capability to give a befitting reaction and utilize all type of weapons against aggressor but when own intellectuals, journalists, columnists and anchor person target own army playing in the hands of the enemy then army had no plan of reaction or defense. On the one hand under the AMAN KI ASHA, eternal enemy i.e. India was portrayed as one of the best friend on the other hand army was criticized as the only cause of all the problems of the public in order to instigate anti-army emotions. Moreover, questions regarding professional capability of Pak Army were raised in order demoralize and discourage soldiers. The problems of Baluchistan were presented in such a way as Pakistan army had confiscated the rights of Baloch people on gun point or Pakistan army had captured Baluchistan. Exploiting the issue of missing persons, an attempt was made to defame Pak-Army for exploitation of human rights. During propaganda war these pawns playing in the hands of the enemy for dollars ignored that during, earthquake, floods or any other natural calamity this is the army that steps ahead to help the nation. In such situation not only army but whole nation got impatient. Army decided to launch the operation, however, govt. kept busy in fruitless peace talks. 8 months ago when negotiations were claimed as the only way for the restoration of peace and peace committee was established; experts and defense analysts had made it clear that negotiations are nothing more than buying the time to terrorists to reorganize and further destruction of motherland through terrorism. But govt. not only stuck to her peace talks but after ever terrorist attacks old statement was issued, “terrorists cannot discourage us”. On the other hand the statements of the peace committee were also in contrast to the ground realities that few elements are trying to sabotage the peace process. The immature and non-serious peace process was witnessed by the whole nation on the media talk-shows and reports. Now when the operation has been launched the graveness of the situation has raised many suspicions; is govt. still lost in the spiral of peace talks or seriously wants to eliminate terrorists from the motherland? Because in the light of the operation the preparedness of provincial and federal govt. to help internally displaced persons, seems to be null except that of army.